We offer the full service wedding planning for all catholic, protestant, symbolic or civil marriages in Italy! We will find you the perfect wedding venue for your wedding in Italy. We help you to get the necessary documents, we can arrange the ceremony, the catering, the photographer, the accommodation. From flower decoration, guided tours and transfers – we will organize every single element you need to make the day perfect for you and your guests! For a perfect destination wedding in Italy we always suggest to enjoy the real Italy life: We organize and plan wine tasting tours, city tours in Tuscany, Rome or Venice. We plan destination wedding full of interesting activities such as hiking in the Cinque Terre, Mountain biking in the Alps or in the green Tuscan countryside. We offer boat tours, cooking classes, wine tasting sessions and private guides. All our arrangements are underpinned with an organisational precision which ensures nothing is left to chance. You plan a wedding in Italy? 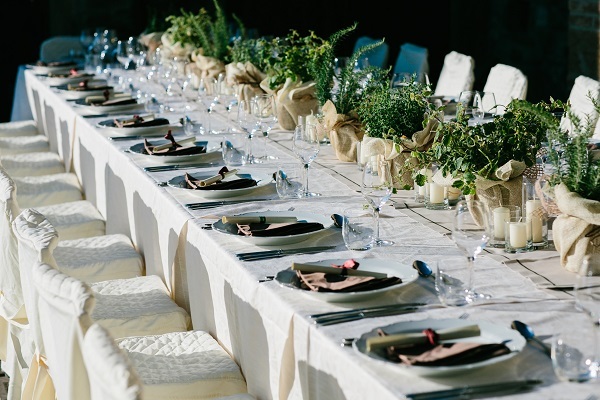 Our PERFECT WEDDING ITALY team is happy to arrange everything for your perfect wedding in Italy! Just choose from our tailor-made wedding packages or ask us for single services.